After its 2018 redesign, the Volkswagen Tiguan is now on its way back with its 2019 model. This update has created new trim levels, such as the R-Line® adaptation of the SEL trim with the new SEL R-Line® trim. Additionally, many of these trim levels, new and old, now include safety and driver assistance features that were previously locked at higher, more expensive trims. So, those are the big changes that we’ve touched on above, but what else has changed with the 2019 Volkswagen Tiguan? 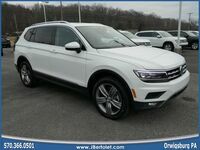 Additionally, for those not familiar with the Tiguan SUV in the first place, how does it stack up in terms of specifications? 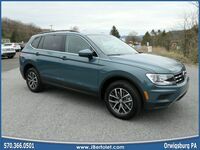 Here’s a good outline of the features and specifications to expect with the release of the 2019 Volkswagen Tiguan! 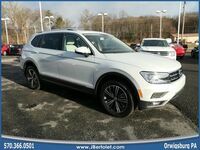 When Can I Buy the 2019 Volkswagen Tiguan? 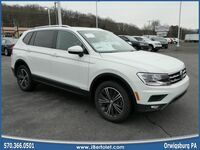 The baseline 2019 Tiguan model has a starting MSRP of $24,295. However, there are many more options for customization with additional trim levels, an upgraded engine option, and the inclusion of 4Motion® all-wheel drive. Call your local VW dealership to learn more and to discuss options. Those in Schuylkill County can contact us here at the J. Bertolet Volkswagen dealership.